With performance-focused features such as a hybrid neck profile and a truss rod adjustment wheel, the American Elite Stratocaster continues to be one of the best modern Strats for the money. Its maple neck has a modern "C" shape at the nut, morphing into a modern "D" profile at the neck heel for faster lead playing and comfortable chording. And speaking of the heel, Fender's asymmetrical neck volute provides superior access to higher frets. The expanded S-1 pickup switching system and onboard Shawbucker humbucker with Passing Lane boost will give even veteran Strat players a reason to upgrade. Fender's tremolo system is also better than ever for the American Elite, with a smoother response and a copper-infused bridge plate to help fight tuning slippage. Get your hands on the American Elite Stratocaster, and you'll likely find that it feels "just right" in just about any position on the fretboard. The hybrid neck profile starts with a "C" shape at the nut, gradually morphing to a flatter "D" shape at the heel. The fretboard's compound-radius (9.5"–14") enhances playability further. 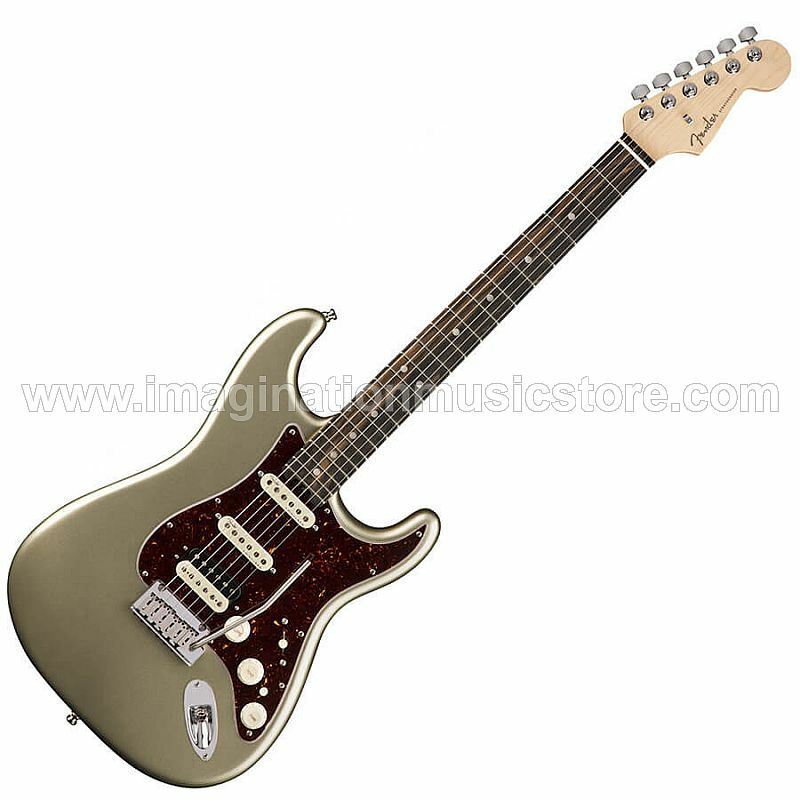 If you love vintage Strat tone but prefer a modern feel, the American Elite Stratocaster was made for you. Fender fanatics at Sweetwater are highly impressed with the arsenal of tones found in this Strat. Fourth-generation noiseless single-coils give the American Elite a classic Strat sound without the hum and buzz. And for a gutsier tone, the onboard Shawbucker bridge humbucker, created by Fender pickup guru Tim Shaw, delivers vintage-inspired heft and thickness. The American Elite's S-1 switching offers access to alternate wiring options with the push of a button. And when you need a boost, a Passing Lane button near the tone pot connects the Shawbucker directly to the output jack, bypassing the tone control for mind-melting leads. If you're a gigging guitarist (or even if you're not), truss rod adjustments are a fact of life, and the American Elite Stratocaster HSS makes them easier than ever. The truss rod adjustment wheel allows you to insert a small screwdriver, Allen wrench, or other tool to tweak the truss rod.